In order to create and sustain wealth, jobs and income for the population are required. Providing jobs requires producing goods and providing services that people or businesses, domestically or abroad, are willing to buy. This in turn requires products and services to be competitive in the global market in terms of quality and price. To maximise the domestic benefits, the value chain is ideally covered within the boundaries of a national economy - the largest share of adding value is contained in processing raw materials and/or parts to finished products. Intellectual Capital is the basis for innovation capability and sustainable economic competitiveness. The indicators used for assessing these criteria are composed of data points relating to education, innovation capabilities, and entrepreneurship. Countries with a high score in this ranking are more likely than others to develop (or sustain) successful economies through research and know-ledge driven industries, i.e. high-value added industries, and therefore achieve higher growth rates. All indicators used to assess the innovation capability and sustainable competitiveness have been scored against size of the population or against GDP in order to gain a full picture of the competitiveness, independent of the size of a country. In addition, developments (trends) of performance indicators have also been taken into account. The innovation and competitiveness ranking is topped by South Korea – by a very large margin. 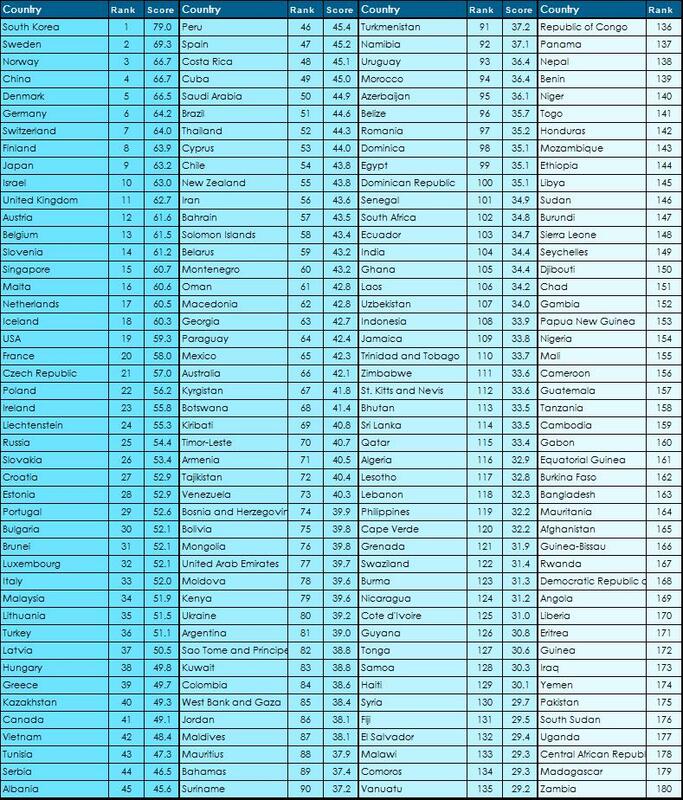 North-Eastern Asian nations (S. Korea, China, Japan, Singapore) and the OECD countries from the Northern hemisphere dominate the intellectual capital sub-index of the GSCI. Eastern European countries and the Baltic States also rank high. 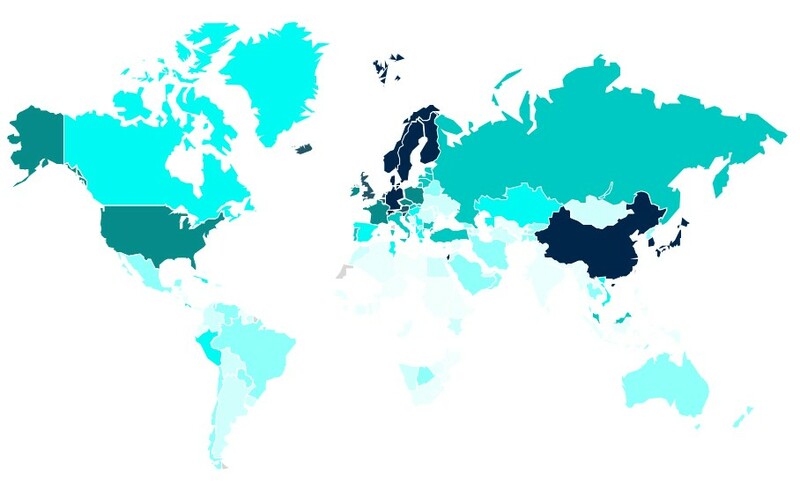 Germany is ranked 6, Japan 9,the UK 11, the US 19. Vietnam (42), Tunisia (43), Bolivia (46) and Cuba (49) are the highest ranked countries of the Southern hemisphere. China is ranked 4, Russia 25, Brazil 51, and India 104.